We are a repair and replacement window and siding company who offers new and replacement windows, siding, doors. We service the Madison, WI and Dane County area. 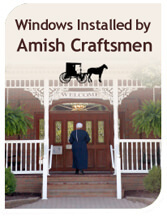 Our window and siding installers are from the Amish community and are craftsmen with over 22 years of experience. We offer free estimates and a lifetime warranty on all window and siding products. Customer service, satisfaction and communication is our main goal at a fair price. Installed by Amish Craftsman with their legendary attention to quality and detail. Our company is 50% Amish owned. Integrity permeates everything we do. Even glass breakage is covered by our lifetime warranty. Your windows are built to last; you’ll never need to do this again. 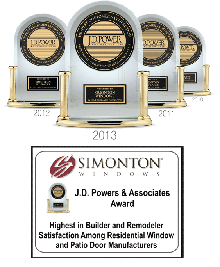 Superior quality, maintenance-free windows A marriage of German engineering and Amish craftsmanship produced by the JD Power and Associates awarded Simonton Window’s company resulting in beauty and value that pays for itself with every heating bill. A fair price We have made a strategic decision to keep overhead down to a minimum in order to pass savings on to you. Our business is built on referrals, not on expensive advertising programs. We answer our phones 7 days a week, until 9 pm. Give us a call right now – (608) 341-8096. Mobile users click here. Follow Us on Facebook to learn about promotions and sales on our products and services! Click on the image to learn more about our new storm siding!